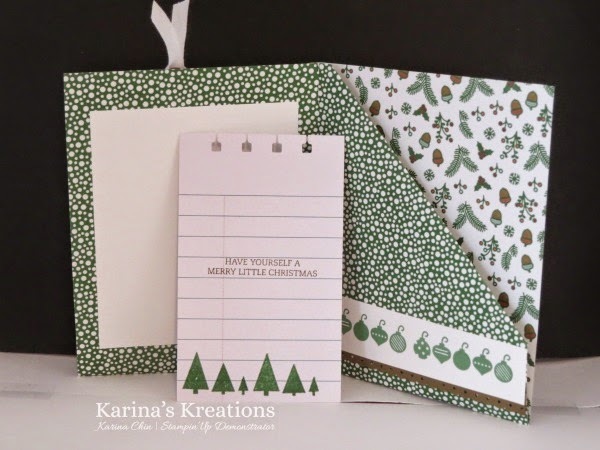 Karina's Kreations: Nordic Noel Double Pocket Card! Nordic Noel Double Pocket Card! We made this cute card at my card classes last week. This card uses an 8-1/2" x 11" piece of Nordic Noel Designer Series Paper. You score the 8-1/2" side at 4-1/4" and the 11" side at 5-1/2". Pull out your Diagonal score plate and score the top right hand rectangle at 4-1/2". Turn your paper 180 degrees and score the top right rectangle at 4-1/2". Fold the triangles back and fold up your card. If this is super confusing I'll try to post a video on Tuesday for you. I got the idea from Patty Bennet. 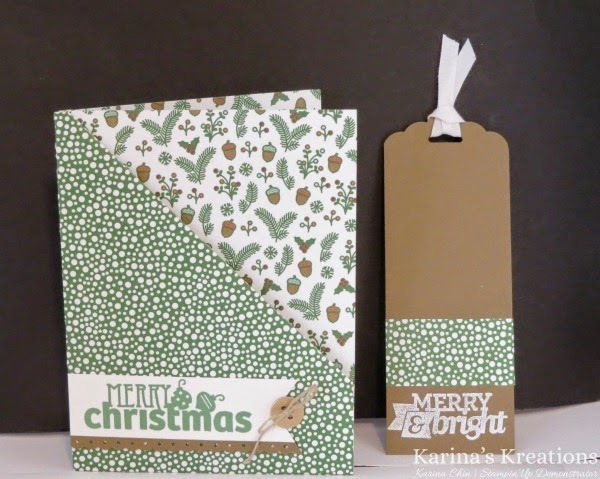 I used the Christmas Bliss Photo Polymer stamp set for my card. I love all the greetings and accent pieces that come with this set. It's perfect for tags too!